Al Masry have named their 22-man squad that will face Zamalek in the 28th round of the Egyptian Premier League on Thursday. 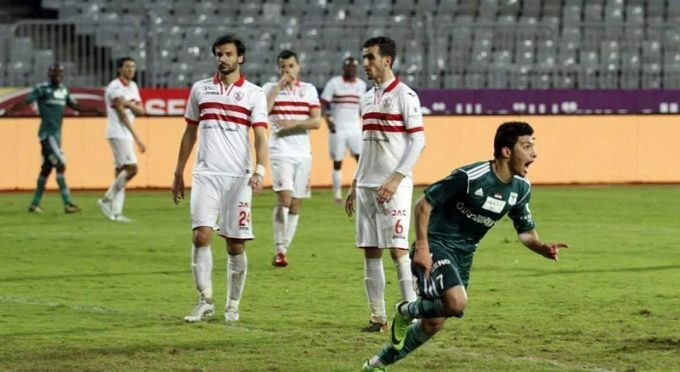 The Green Eagles enter the game sitting fourth with 42 points, 15 behind league leaders Zamalek, who sit top only two points ahead of rivals Al Ahly. Former Zamalek boss Ehab Galal will be without two of his key players in suspended Farid Shawky, and Palestine international Mohamed Saleh, who tore his ACL on Monday. On the other hand, Mohamed Abdel-Latif Grindo and first choice goalkeeper Ahmed Masoud have made the squad. Goalkeepers: Ahmed Masoud, Mahmoud El-Sayed, Mohamed Shehata. Defenders: Ahmed Shousha, Islam Abou-Sliema, Mahmoud Hamad, Omar Kamal, Karim El-Eraky. Midfielders: Emeka Eze, Amr Mousa, Saïdou Simporé, Islam Issa, Mohamed Abdel-Latif Grindo, Abdelnaser Mohamed ‘Di Maria’, Abdallah Bika, Mohamed Gaber, Hussein Ragab, Islam Ateya. Forwards: Mahmoud Wadi, Ezekiel Bassey, Austin Amutu, Hossam Ashraf.